Alibaba is seeking to cut out the middle man and exert more control over the supply chain by joining forces with container shipping line Maersk. The move sees Chinese companies registered with the online retailer reserving space on Maersk vessels directly through Alibaba via the e-commerce giant's OneTouch booking website, which was purchased in 2010 and provides logistics, customs clearance and parcel delivery services. Routes from eight Chinese ports to Europe and Asia are part of the agreement. "The initial launch… allows existing Alibaba OneTouch (registered) users to lock in the price of required cargo spaces on selected routes by pre-paying a deposit amount. The service will be offered on selected routes and ports initially," a Maersk spokeswoman told Reuters. Traditionally, most shippers would use freight forwarders to book space on container ships, but increasingly with the rise of the internet, direct online booking is a service that many logistics companies are introducing. Maersk, for one, is digitising many aspects of its services as it tries to modernise its offerings and said it has plans to launch more pilot programmes on third party websites. In terms of supply chain integrity, it is a popular move, and for firms worried about diversion, counterfeits or the grey market, staking control over logistics is becoming common practice, as has been seen with fellow e-commerce giant Amazon. For Alibaba, which is battling accusations that counterfeits persist on its platforms, bringing control of the supply chain in-house is one of the many recent steps the online marketplace has taken to address concerns. The retailer also has links with couriers and has bought warehouses. There are several reports claiming the logistics part of Alibaba is the fastest growing of the business-to-business division. The company has not released a statement on the Maersk deal. While the pairing with Maersk doesn't completely cut out freight forwarders, as companies will still require haulage services, the deal streamlines the logistics process and should aim to reduce illicit activity and focus on genuine brand owners. According to Zacks Equity Research, the integration of Alibaba's own logistics could see the development of a solid logistics platform for small and medium-sized Chinese businesses, which could help allay nerves around the issue of counterfeits. 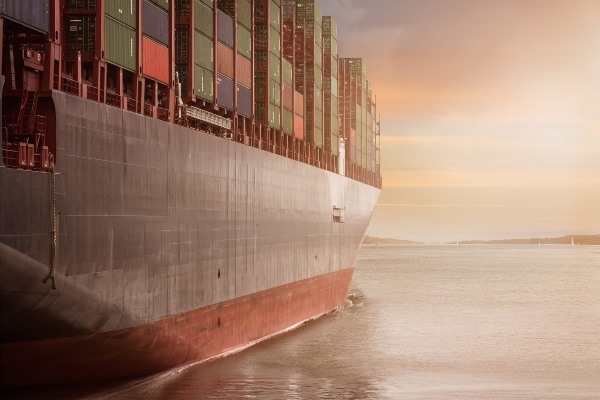 Furthermore, the pairing with Maersk provides further confidence to buyers and sellers alike as Maersk is one of several shipping lines that recently signed a declaration of intent to address the transport of counterfeit goods by sea. Under the declaration there will be a zero-tolerance approach to counterfeiting with a number of measures being introduced including supply chain controls, due diligence checks, information exchange and risk profiling. Michael Jul Hansen, customs and trade compliance lead for Maersk, called the declaration "historic", adding: "Maersk has been a leader in taking steps to prevent the use of our vessels for the shipment of counterfeit and other illicit goods, and this declaration is a reaffirmation of our intent to do everything we can to ensure our ships are counterfeit free."